By Karen LeFrak. Illustrated by Andrew Day. Walker& Co. $16.99. A young girl, a pick of the litter and a special connection combine for a colorful and engaging narrative in this upbeat children’s volume. The youngster, Abby, is on hand when her aunt’s Standard Poodle Jewel delivers a litter. Abby spots a special fluffy white puppy and begins teaching it traits she hopes will shape her into a show champion eventually under guidance of Wendell, the handler. In the process, Gem (the dog) teaches Abby plenty of life lessons, too. 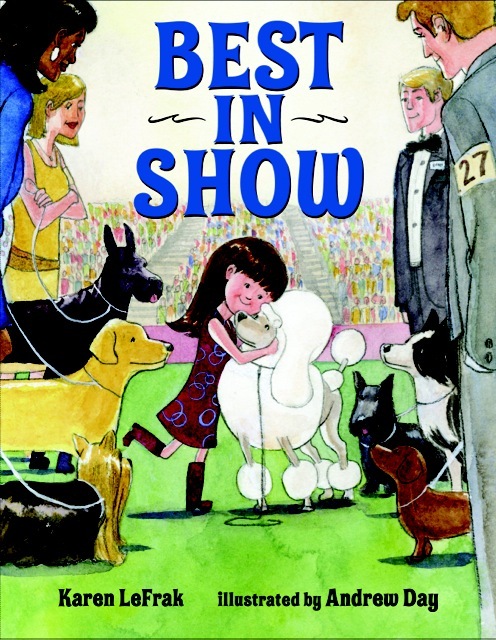 But an unexpected opportunity of a lifetime in the supercharged setting of a big dog show delivers all the ingredients for a special fairy-tale ending. LeFrak, a breeder/handler of champion Standard Poodles, has a red-, white- and blue-ribbon winner here packed an intoxicating blend of passion and panache that will delight young and old.